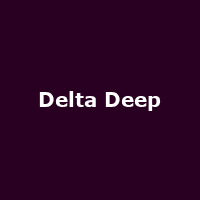 "Phil Collen, lead guitarist of British rock band Def Leppard & alternative roots/rock band Manraze, started Delta Deep as an extreme blues project. The band has been likened to "Aretha Franklin & Chaka Khan performing with Led Zeppelin". Phil's love and appreciation for the blues since childhood enabled him to move forward quickly with the band's inception in 2012."